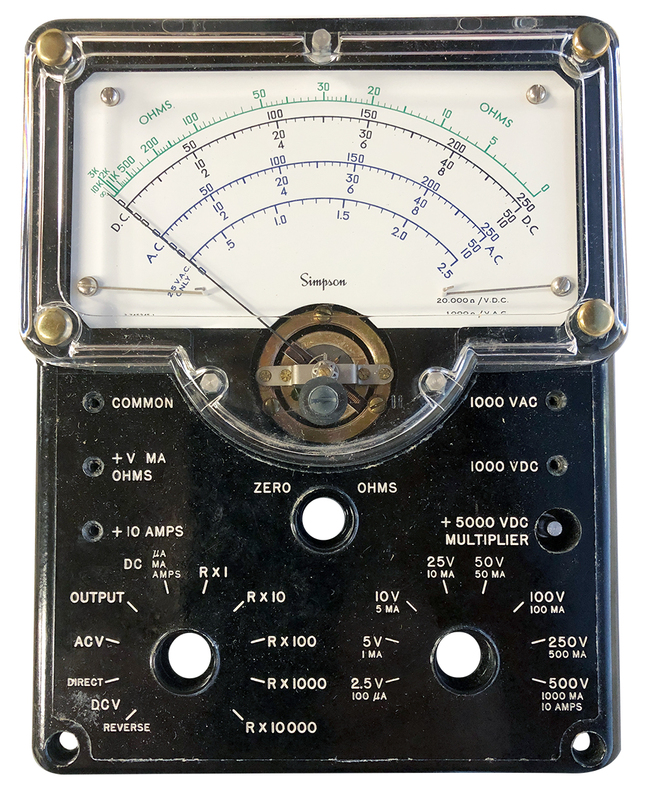 Simpson Volt-Ohm-Miliammeter. 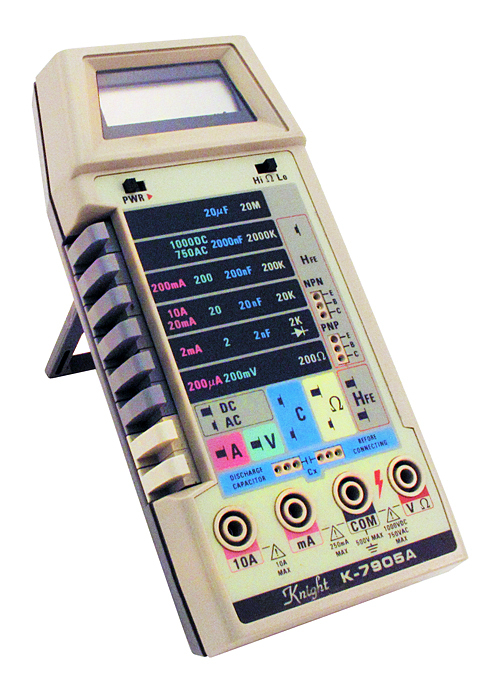 Model 263. 20k / 10k ohms / VDC. 10k / 5k ohms / VDC. 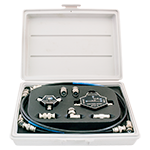 Includes manual and probes. Circa 1965. Brand new in the box! 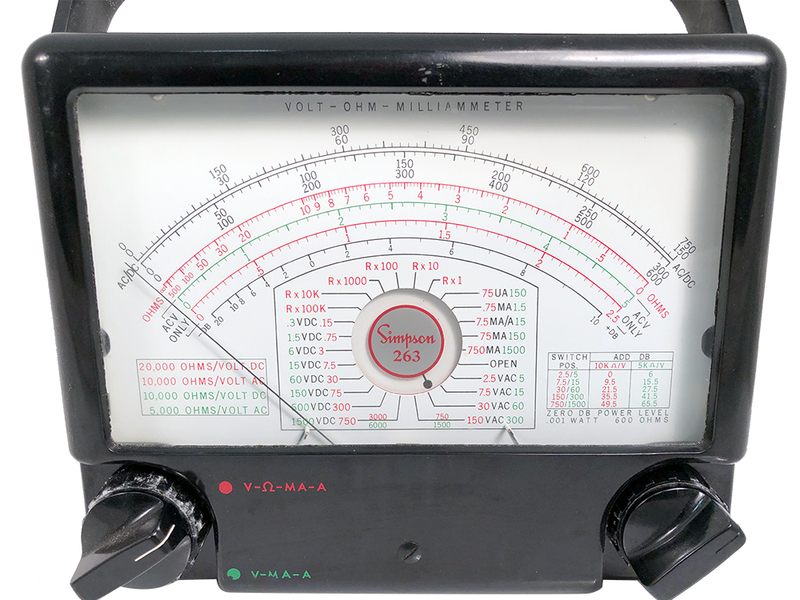 Simpson ME-48 ohm replacement meter assembly for U.S. military P/N AN/PSM-4B. 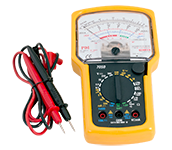 The AN/PSM-4A is a portable volt / ohm / milliammeter. 20,000 ohms / vdc, 1000 ohms / vac. 5-1/2" x 7". Circa 1953. NSN: 6625-00-585-9795. New, unused. 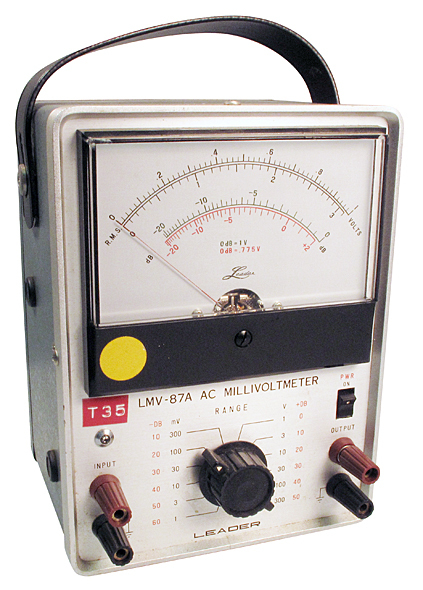 Leader® AC milli-voltmeter. 12 ranges. 0 - 1 mV to 0 - 300 vrms. Leather strap. Molded grounded 6" AC cord. 4-3/4" x 6"W x 8"H. Excellent condition. 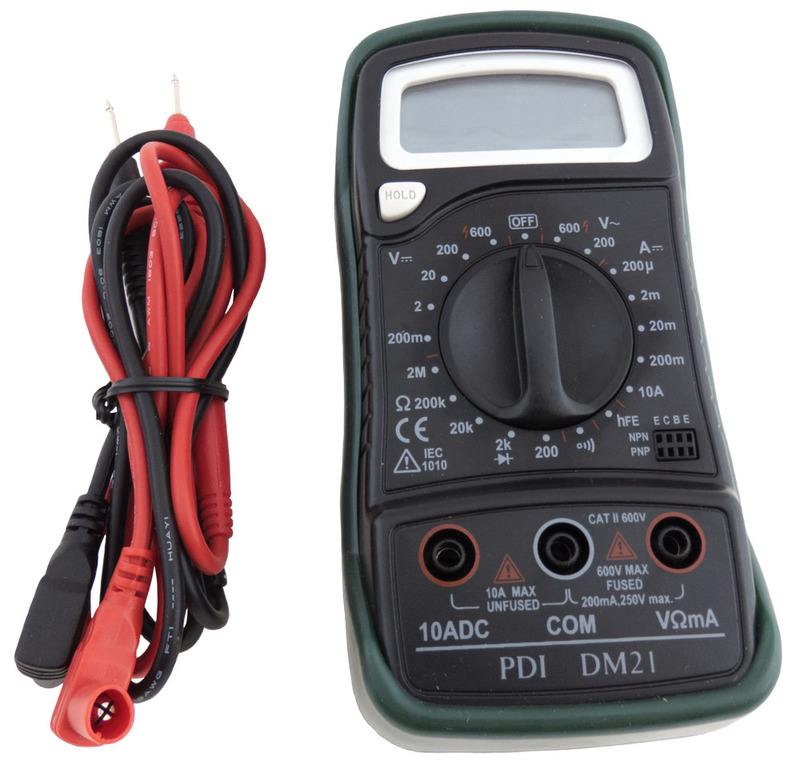 3-1/2 digit LCD multimeter. 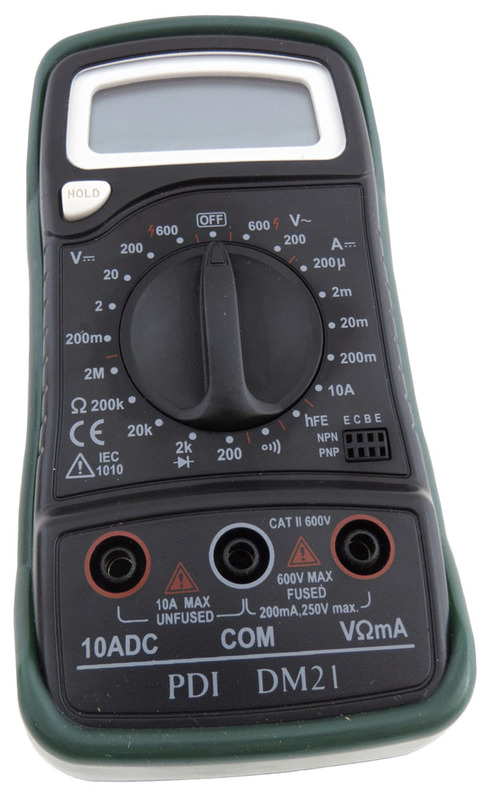 Up to 600vDC, 10a DC, 600v AC, 2mΩ. 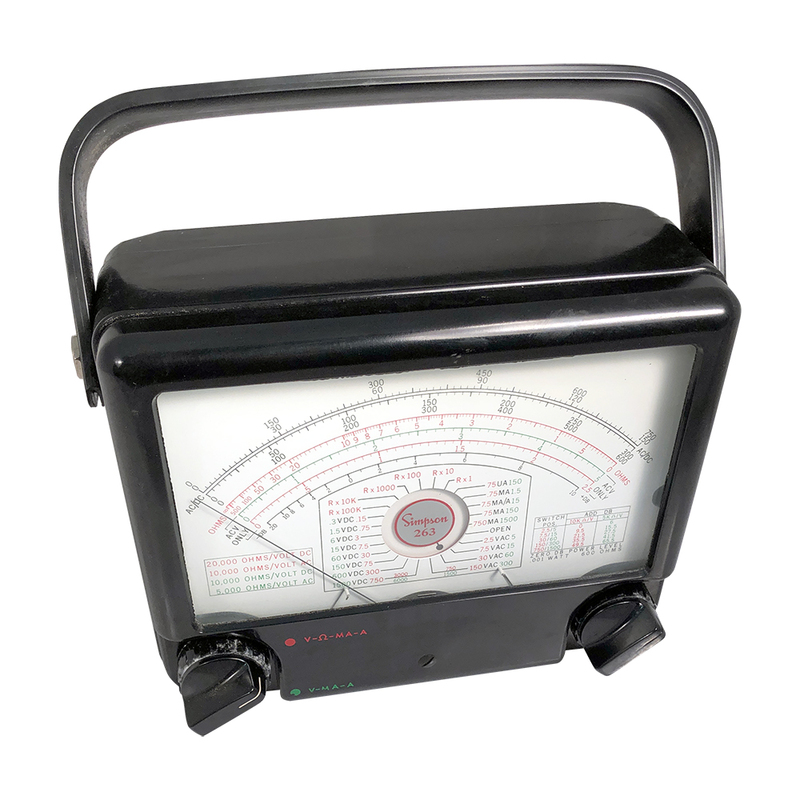 Well made heavy duty meter. Includes leads. 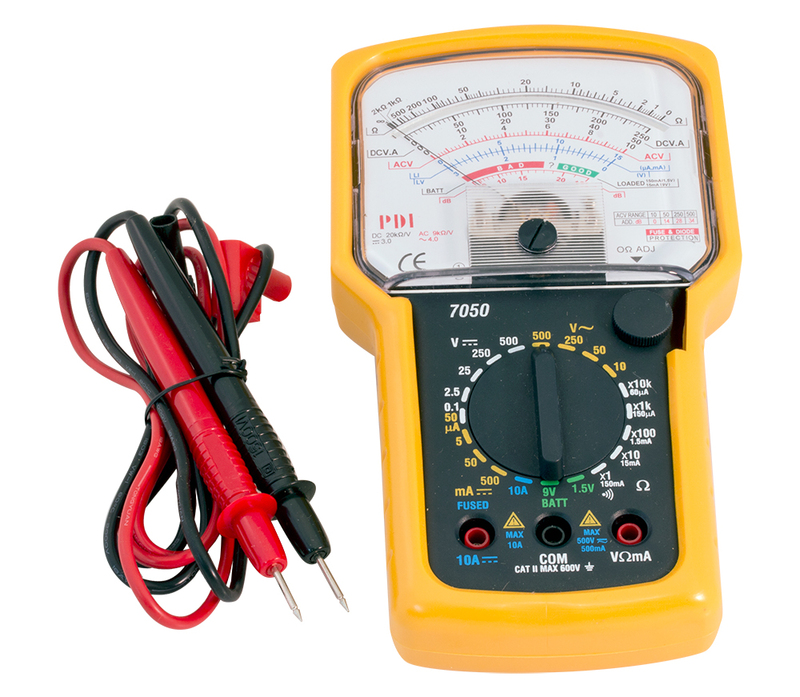 Famous Knight multimeter. 1-3/8" x 3-1/4" x 7" long. Banana probes NOT included. 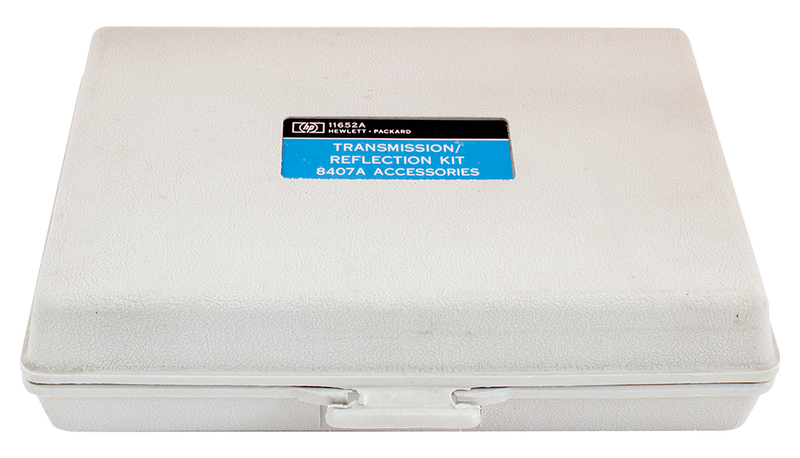 Hewlett Packard transmission / reflection kit. 50 ohms. 8407A accessories. 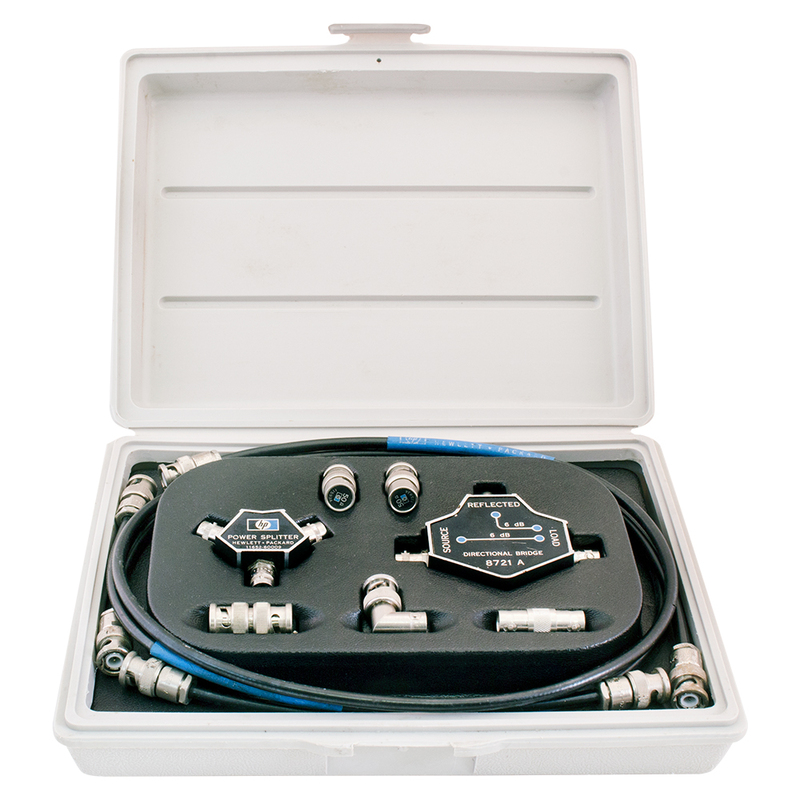 RSR analog multi-meter kit. Also has audible continuity buzzer. 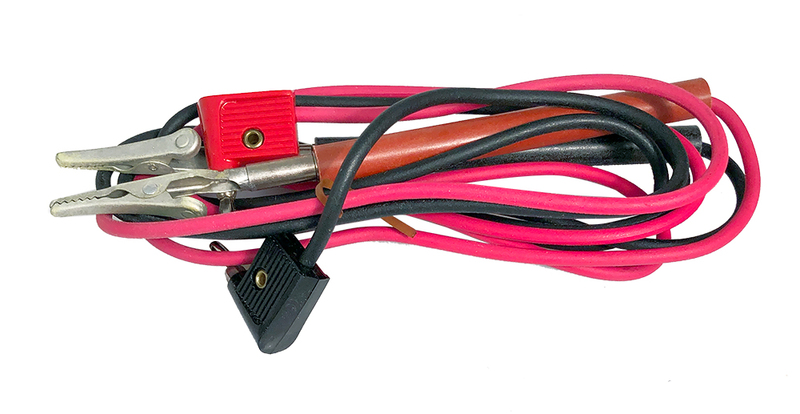 1-1/2" x 3-1/2" x 5-1/2". 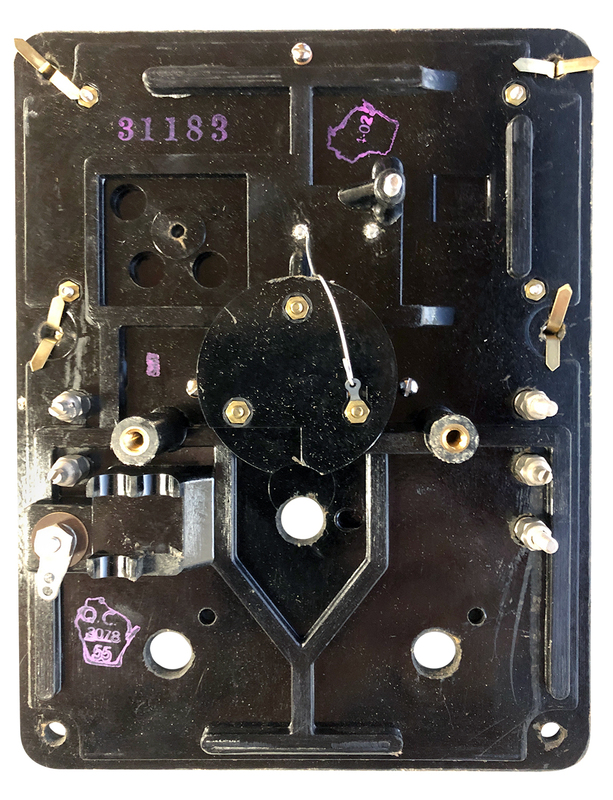 Includes resistors, operating instructions, and all parts but no assembly instructions or test leads. 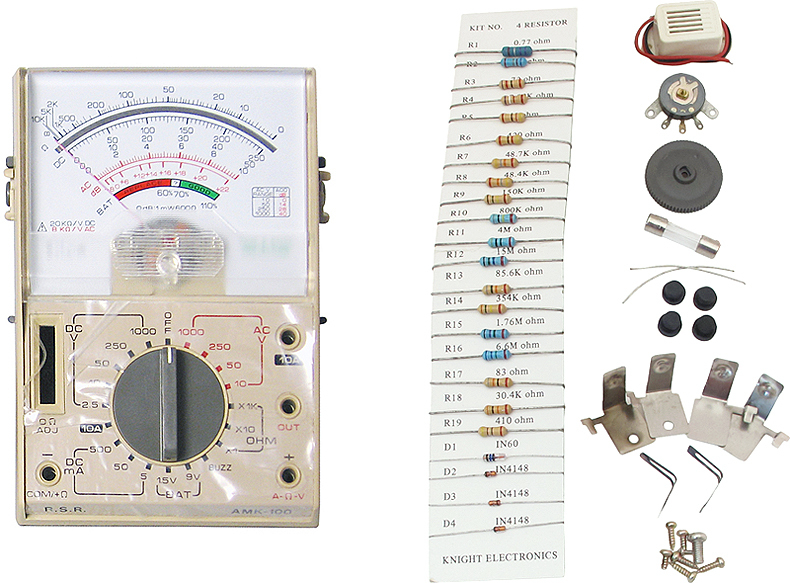 HP vacuum tube voltmeter. Used, as is. 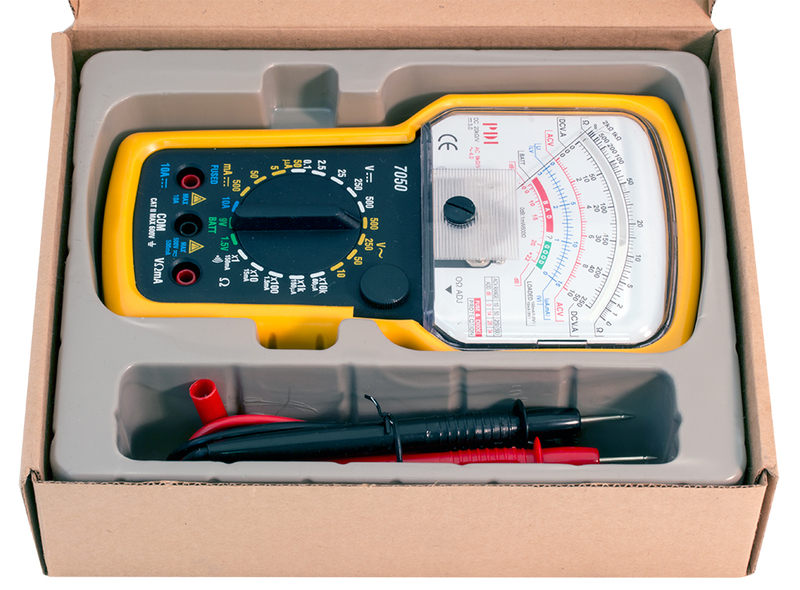 Ballantyne Model 300 AC volt meter with full scales 0.01 / 0.1 / 1 / 10 / 100 volts. Old but reliable. 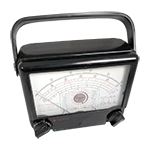 Baker Instruments Milliohm meter with the following ranges: 200 milliohms, 2, 20 and 200 ohms. 4 digit readout. 115 vac input. 4 lead system. USM116 probe hard wires into Hickok volt meter. New / surplus.